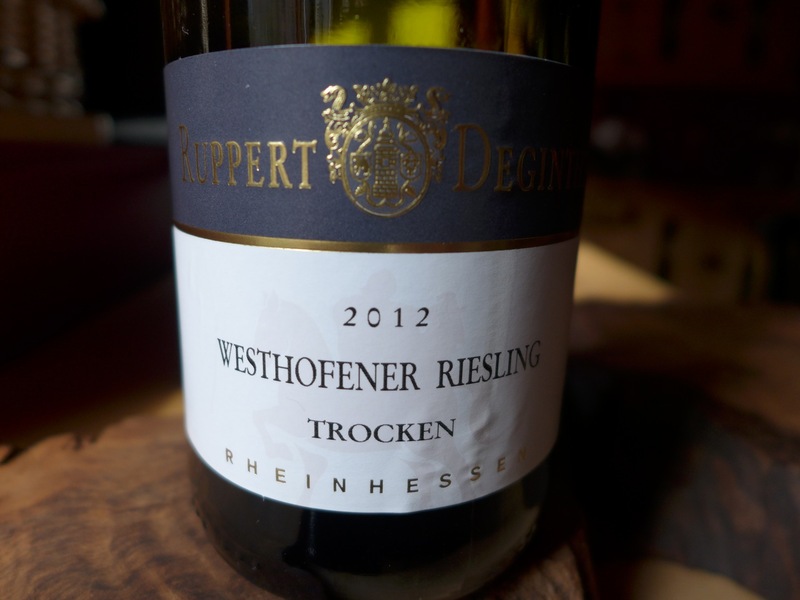 2012 Westhofener Riesling trocken from Rupper-Deginther for just Euro 6! Sorry Riesling friends in America, Japan and a bunch of other countries. You can’t just pop out to the neighborhood liquor store and buy this delicious dry Riesling from Jungwinzer Justus Ruppert of Dittelsheim-Hessloch/Rheinhessen! However, that is not a valid reason to ignore such wines as these, rather it’s a good reason for STUART PIGOTT RIESLING GLOBAL to draw attention to these jewels that are just lying around waiting to be picked up by smart and innovative wine importers! “Dittelsheim-Hessloch, where the hell is that?” I can hear you all saying. Yes, I also said that when I first heard the name exactly nine years ago in the early hours of the morning of 1st May 2004. Then I tasted a wine from Jungwinzer Stefan Winter (vintage 1980) called Leckerberg, tasty hill, and was amazed both by the rich peachy flavor of the wine and its beautiful balance in spite of hailing from the often heavy and clumsy 2003 vintage. Then I was stunned to hear that Leckerberg is actually the officially recognized name of a vineyard site. And it’s no the only vineyard site in this corner of Rheinhessen with a funny name. There’s also one called Mondschein, moonlight, and another called Lebkuchenberg, gingerbread hill, but more of that later. Stefan Winter just became a member of Germany’s elite VDP winegrowers association, and as such can hardly qualify as a Jungwinzer any more, but Justus Ruppert (vintage 1987) certainly does. We first met in November 2008 when I was a guest student at the Geisenheim wine school back in November, and since then he’s become one of the most talented Jungwinzer in Rheinhessen, (although even Dittelsheim-Hessloch offers him stiff competition in the form of the Wernersbach brothers, Stephan and Florian). This wine is perhaps the best value for money in his wide range of impressive dry Rieslings, Silvaners and Grauburgunders (Pinot Gris). Although it weighs in at only 12% alcohol it has a bouquet of yellow peach and ripe mini-banana, tasting at once really ripe and delightfully fresh. Here is the taste of the Wonnegau area of southern Rheinhessen without the bulky body and ponderous power you sometimes find here due to the combination of a favorable climate and sometimes rather deep, fertile soils. If you want to taste the best dry Riesling Justus made to date, then you’ll have to wait until September when the 2012 vintage of his “Weisser Stein”, white stone, a wine from the Lebkuchenberg site, is released. It’s only called that name, because the name Lebkuchenberg is currently banned by the Government wine inspectors, after having been abolished under the auspices of the 1971 wine law. This is much more herbal and mineral wine with underplayed power, and it costs just over double the price of the new wine of the month. However, it’s worthe wait and the money! 2012 Riesling trocken from K.H. Schneider for just Euro 6,40 ! Andi Schneider of the K.H. Schneider estate in Bad Sobernheim/Nahe pictured above at the ProWein trade fair in Düsseldorf a few weeks back was one of my big discoveries last year. 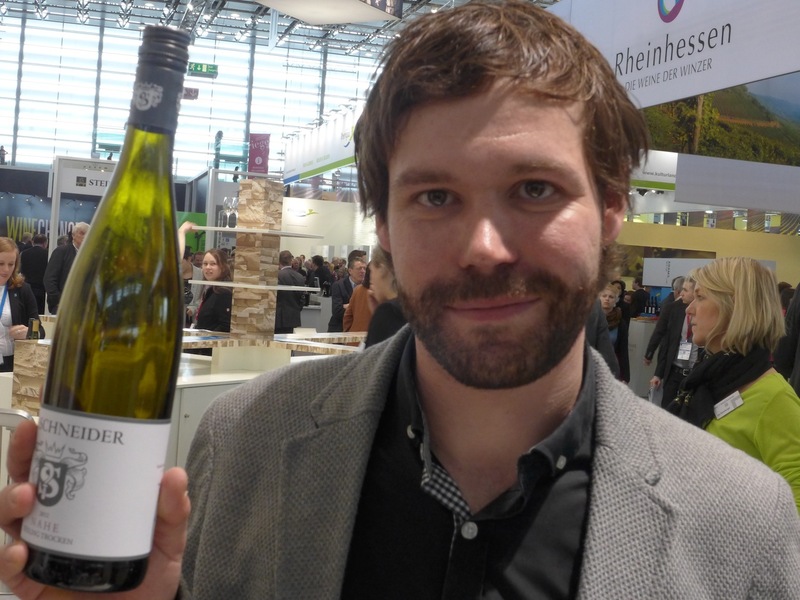 It may not always be the case that the 2012 German Rieslings are better than the 2011s, but for Jungwinzer Andi Schneider this is undoubtedly the best vintage to date. This wine, his basic dry Riesling, is brimming with grapefruit, white and yellow peach and floral aromas. It’s ripe and juicy, yet racy and light-footed, weighing at only 11.5% alcohol. In short it’s liquid joy! 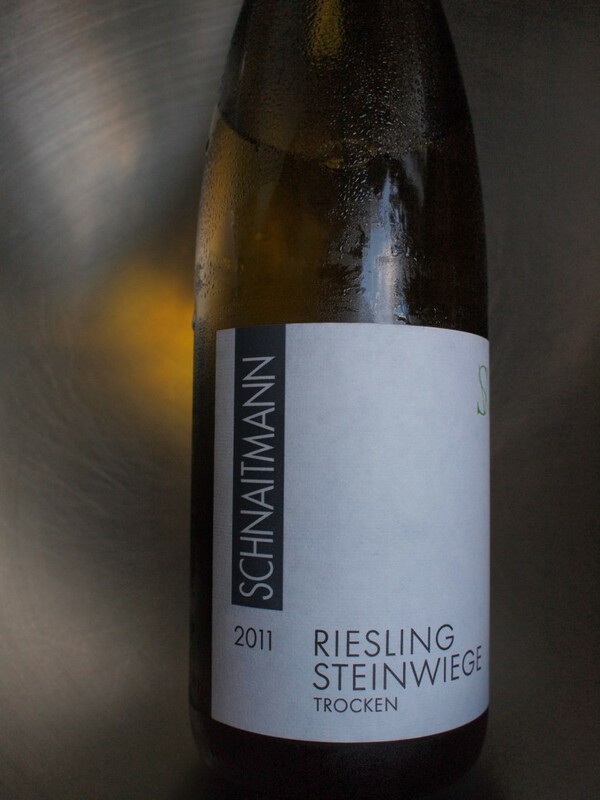 With spring finally on the way in Germany my thirst for this kind of Riesling is about to increase dramatically. Many readers are no doubt enjoying spring far from still chilly Berlin where I write these lines. 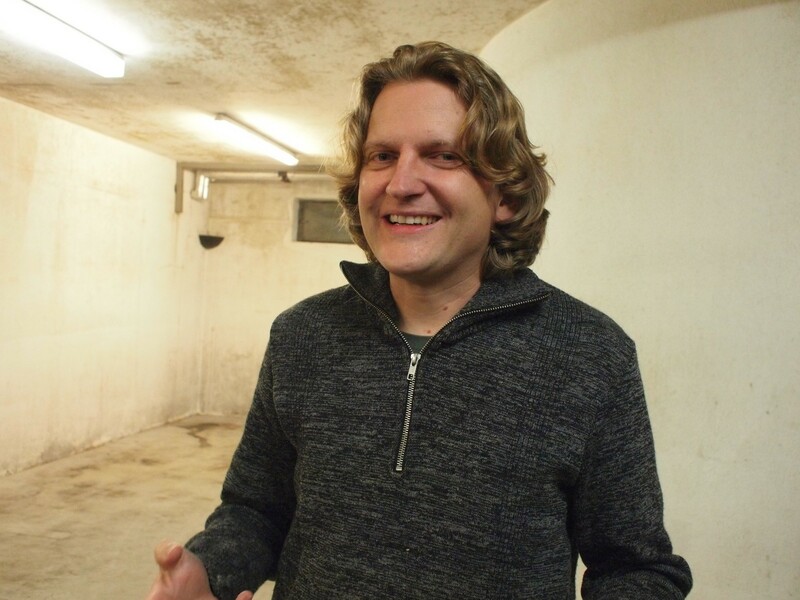 One problem there could be for you is that wine importers in many countries have been slow to pick up talented young German winemakers, even when they’re as hot as Andi Schneider. So if this winemaker’s Riesling are not yet available where you are, then tell your friendly local wine merchant/importer to contact Andi at the address below NOW. By the way, this really is the simplest dry Riesling Andi made in 2012. He picked all his Riesling after the first of the night of 28th-29the October and in the Nahe that turned out to be exactly the right thing to do, even though the frost knocked all the leaves off the vines, so the grapes couldn’t ripen further (which is counterintuitive). And if you think this Riesling is quite something, then just wait for the others! The Mittelrhein region of Germany is small and little-known, although this is the Romantic Rhine which inspired poets and painters from the early years of the 19th century. More important for wine lovers is the fact that like the Mosel it has steep vineyards with slate soil in a narrow and winding river valley; ideal conditions for growing sleek, racy and aromatic Rieslings. Lack of renown means that most Mittelrhein Rieslings are very good value for money. 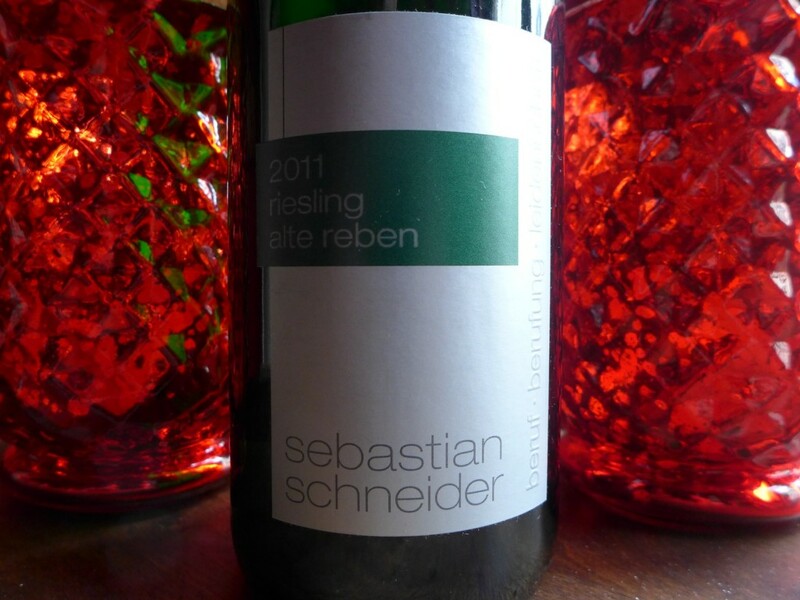 This one from the tiny start-up winery of 30 year old Sebastian Schneider is sensational value for money at just € 6.50 direct from the winery to private customers! It has the ripe peachy aromas, subtle spicy notes, textural richness and mineral freshness that you expect in a wine costing double or more this price. Although it doesn’t say so on the label it comes from Oberheimbach close to Bacharach where the Mittelrhein’s longest established quality producers Toni Jost and Ratzenberger are based. Sebastian Schneider began building up his own vineyard holdings in 2006 and has now amassed just 2.3 hectares, or 5.7 acres. Quantities are therefore small, which means that once word gets out about these wines they will sell out real fast. This puts me in the rare situation of imitating Wall Street and recommending you BUY! It’s way too early to think of drinking the better quality 2012 Rieslings from the Northern Hemisphere yet. Most of them are still in a raw state and some of them are still fermenting! One of the great advantages of the Weißburgunder / Pinot Blanc / Pinot Bianco grape is that due to its moderate acidity, and with the help of a relatively brisk fermentation (which also helps prevent the wine becoming too broad or heavy), it can give pleasure within a few months of the harvest. That’s certainly the case with this wine from Alexander Gysler of the eponymous estate in Alzey-Weinheim/Rheinhessen, one of the new star winemakers of the region. It has a ripe apple and apple blossom aroma, tasting at once creamy and fresh, and the balance of supple acidity, medium-body and ripe fruit already spot on. The way 13% of alcohol is unobtrusively tucked away in the wine has a lot to do with the cool and windy conditions around Weinheim and the stony “red slate” soils which predominate there. So, here is a first taste of 2012 in Germany which suggests that this is another very good to great vintage with wines that are lively and not as weighty as the three preceding vintages. Like all Gysler’s wines it’s also very good value for money. My last working day was one of quiet brainstorming which ended with me dropping into Edi and the Wolf on Avenue C. It’s not the only funky restaurant on the street, but it’s certainly the funkiest. I felt like I was on a ship traversing some unknown subterranean sea. Bumping into Constance Chamberlain of Brand Action Team who I’d first met the night before at the Big Bottles from Burgenland party (see Day 4 below) reminded me that it was time for my wine of the month and that I’d already made a surprising choice. Within minutes she’d found a source for it in the NYC area! So here it is with thanks to Constance. Chilean Riesling? Isn’t Chile the place all those well-made bargain price Sauvignon Blancs and Cabernet Sauvignons come from? Yes it is, but there are also 333 hectares of Riesling planted there, much of it in the cool and moist southerly regions like the Bio-Bio Valley 500 kilometers south of Santiago. 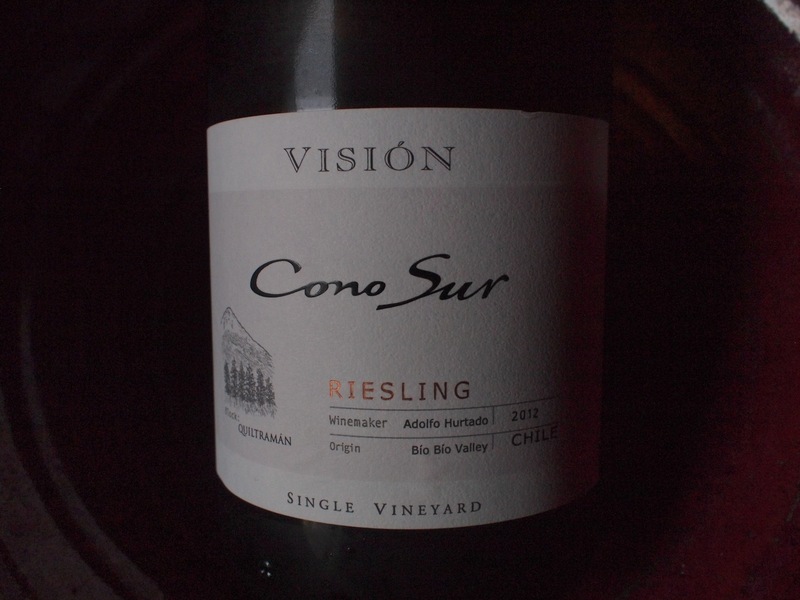 That’s where the dry 2012 Riesling “Visión” from Cono Sur grows. It is the first Chilean Riesling to really excite me and one reason that it does so is that it doesn’t taste like any Rieslings I know from anywhere else in the Southern Hemisphere. With their limey aromas and piercing acidity many of the simpler Chilean dry Rieslings are quite similar to cheaper Australian Riesling. This wine from the Quiltramán Block (i.e. vineyard) has an intense aroma of ripe pineapple with hints of lime, rhubarb and blossoms. In spite of the high acidity it was a wonderful juiciness and quite some power. And it’s really good value for money. Congratulations to winemaker Adolfo Hurtado for showing that Chile can also produce high quality dry Rieslings! What? A Rivaner as wine of the month at STUART PIGOTT RIESLING GLOBAL instead of a Riesling? Rivaner is the alias of Müller-Thurgau and MT is part of the enemy!, or? OK MT has a bad reputation because of a lot of sweet schlock wines – Liebfraumilch & Co – that were produced from it in vast quantities back during that distant geological epoch which was the 1970s and ’80s. Winegrowers took the huge yields which MTs genetics and the liberal use of chemical fertilizer made possible. The Rivaner alias was introduced during the 1980s to try and reposition the variety, that is to pull it out of the mire it was tuck in. Karl Heinz Johner, who founded Germany’s first garage winery in Bischoffingen/Baden back in 1985, was one of the first winemakers to not only use the Rivaner name, but also to completely reinvent the wine. He cut yields, picked the grapes fully ripe and barrel-fermented the wine. The result was a seriously pleasant shock the first time I encountered it 25 years ago. It was also the original inspiration for my first experiment in winemaking, a dry MT I produced in 2009 from ten rows of vines in the remote Tauber Valley borrowed from Christian Stahl of Winzerhof Stahl in Auernhofen/Franken. Like my wine, the Johners dry 2011 Rivaner has almost none of the normal MT muscat type aroma, and has a generous alcoholic content (13.5%). The creamy-yeasty note and a touch of vanilla lead into a full and supple wine, which is at once rich and clean. In fact, I think this is the sort of taste a lot of people who say they like Chardonnay really want, but almost mever find at this price point. Today this wine sees much less oak than it used to, so congratulations are due to Patrick Johner for reinventing his father’s reinvention of a grape that remains on the wrong side of the tracks. Oh, and the website is really worth visiting. Often at STUART PIGOTT RIESLING GLOBAL I ask lots of probing questions and seek hard answers to them, but here I just shoot from the hip trying to keep quality, value for money and interest in mind. 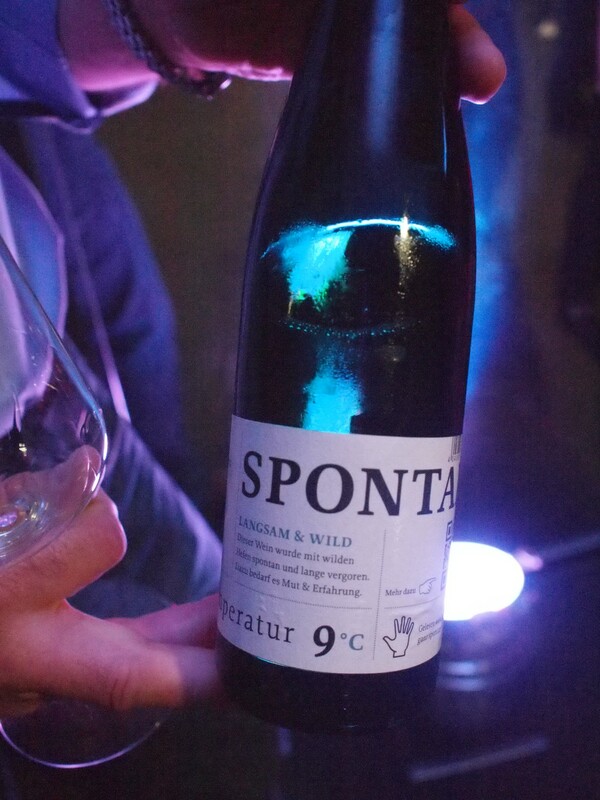 Terrassenmosel winegrower Andreas Barth’s new wine, Riesling “SPONTAN”, scores high on all three of those points. Interest is the most important, so let’s get down to the nitty-gritty right away. 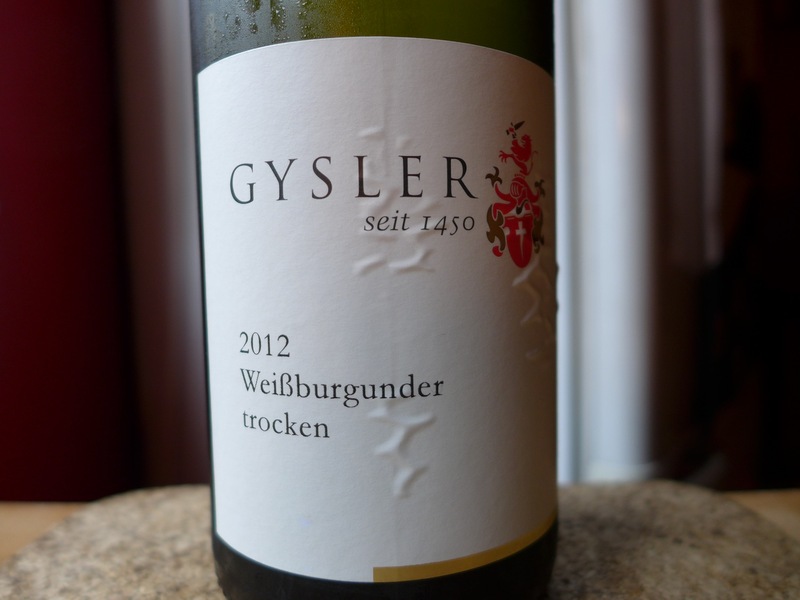 For those not used to serious Mosel Rieslings the yeasty aroma of this wine might come as a serious shock. For hard-core Mosel addicts like me this is just the funk of a youthful wine that wasn’t manipulated in the cellar. In fact, when it’s married to fruit aromas like these (blackcurrant and white peach) I find this side of the wine positively funkadelic. It also tastes wonderfully juicy, spritzy, and invigoratingly dry, curving out of the bottle into the glass and from there across the palate with alarming ease; quality, quality, quality! The price is friendly too, by which I mean that if Heymann-Löwenstein (the Terrassenmosel’s number one) stood on the label instead of little-known Lubentiushof, then it would be more expensive. The wine’s name is a 21st century Flexi-German play on words. Spontan means spontaneous or spontaneously, also spontaneous fermentation – full German name Spontangärung, or short Sponti – meaning fermentation without the safety net which adding selected yeast in powdered form – Reinzuchthefe – provides. Selected yeasts are genetically homogenous (some products contain several strains of yeast, but each of them is genetically homogenous) and are therefore rather predictable in their behavior. They can make the wines they ferment taste rather predictable too, though this certainly isn’t the inevitable result of their use. In the English-speaking wine world people often talk about “wild yeast fermentation”, but the idea that each batch of grapes ferments with its own vineyard specific yeast seldom has much to do with microbiological reality in the cellar. When Spontangärung works as spectacularly well it does in this wine, then usually the cellar has developed its own distinctive flora of yeasts which contribute to the house wine style. That situation plus ripe, clean Riesling grapes, a minimum of cellar technology and a maximum of patience are Andreas Barth’s secrets. Oh, and I love the cool label! Riesling is the traditional wine grape on the Mosel, right? Wrong. 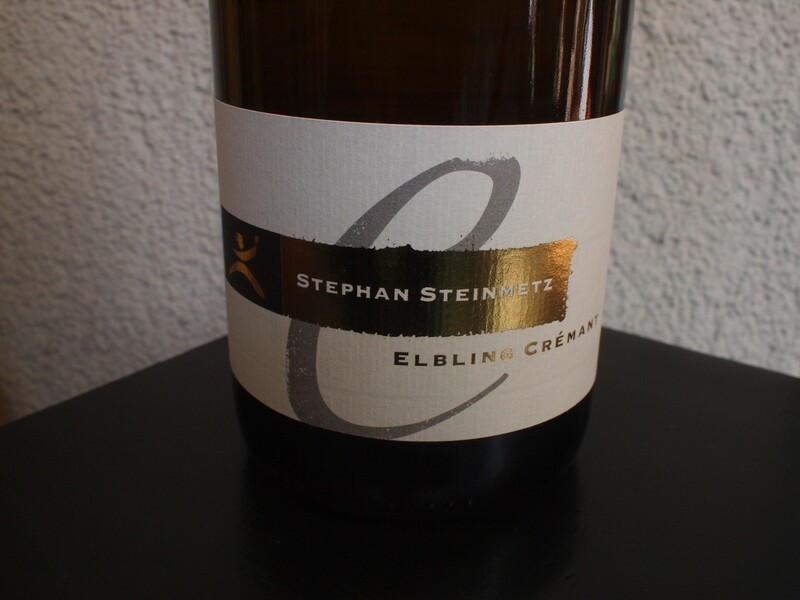 Riesling certainly has a really long history on the Mosel and has been dominant in the vineyards of the most famous wine villages in the Mosel Valley since the second half of the 18th century, but the main grape it pushed out, Elbling, has not disappeared entirely. On the Obermosel, or Südliche Wein-Mosel (Southern Wine Mosel), as the region has recently begun calling itself, Elbling has been cultivated uninterruptedly since the Romans brought the grape to the region almost two thousand years ago. 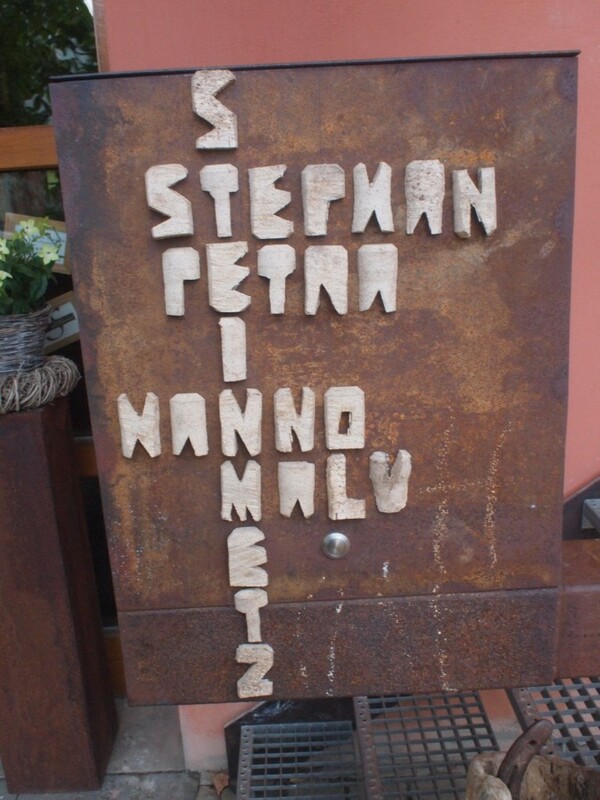 And if you taste the sparkling Elbling Crémant from Stephan and Petra Steinmetz in Wehr/Mosel you’ll quickly realize why. This grape seems predestined for sparkling wine production on account of its subtle apple and citrus aromas, moderate sugar content (which results in a moderate alcoholic content in the finished product) and naturally high acidity content. The second fermentation and extended lees contact in the bottle of the Champagne method transform Elbing, coaxing a whole range of new aromas from it – in this case a strawberry note as well as the bready notes from the yeast – and give it a creaminess that beautifully balances the crisp acidity and bubbles. The 11,5% alcoholic content underlines its light and charming personality and compared with it most “cheaper” Champagnes, which are never actually cheap, taste rather clumsy. The limestone soil here – there’s no slate and little Riesling upstream of the Saar’s confluence with the Mosel close to the city of Trier – is not only the reason that Elbling has survived here. It also helps the Steinmetzs make a pretty serious Spätburgunder / Pinot Noir, but more about that another time. For several years, together with Hammers Weinkostbar, one of Berlin and Germany’s best winebars, I’ve been organizing blind tastings under the name ‘Wein Lab’ for the Wein Hilft, or wine helps, charity (see www.weinhilft.de, though sadly only in German at the moment). Our latest tasting was in search of the world’s best still rosé wine, and it was a real roller-coaster ride. The official winner, i.e. the group favorite, was the 2011 Montfort Spätburgunder BA – yes, a German Pinot Noir dessert wine! – from Klostermühle Odernheim in Odernheim/Nahe. It had the most beautiful Pinot nose, but was not exactly a refreshing summer wine, being just too sweet and too concentrated for that purpose (though beautifully balanced in this style). 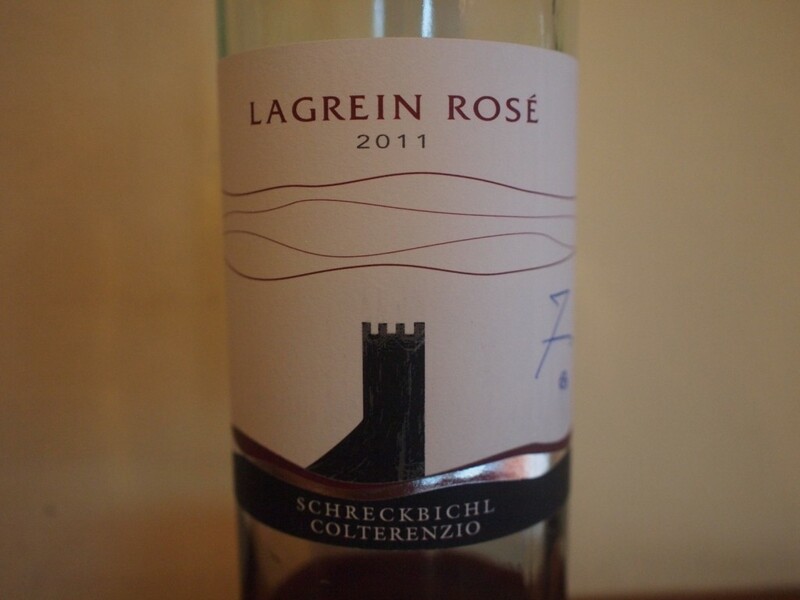 My personal favorite for summer refreshment was the 2011 Lagrein Rosé from the Schreckbichl co-operative winery in the mainly German-speaking Südtirol (Alto Adige) province of Italy. It looked like a pale-colored red wine, but combined beautiful red and black berry aromas with some real richness and awesome freshness. It is also moderate in alcoholic content for a rosé with this much flavor (12,5%) and superb value for money. May the summer be with you! Riesling from Württemberg? Surely the Mosel, Rhine and Nahe – the three valleys often declared to be the Homelands of Riesling – have enough exciting wines to offer that it isn’t necessary to go to a leafy suburb of Stuttgart – the Homeland of Mercedes Benz – to find a good Riesling? The other reaction I frequently hear to recommendations like this one is blunter: huhh? I take that to mean are you serious?Possibly also how do you spell that? But then when they taste the wine there’s a sudden switch to Wow! The truth is that the Great God of wine did not ordain that Riesling may only achieve greatness on stony soils in those Three Holy Valleys, and there are many other places in Germany and elsewhere on Planet Wine that my favorite grape can give great wines, also in Württemberg. The first prerequisite for this is that the climate and soil are suitable, the second that the winegrower adapt cultivation of the vine and making of the wine to those specific conditions. 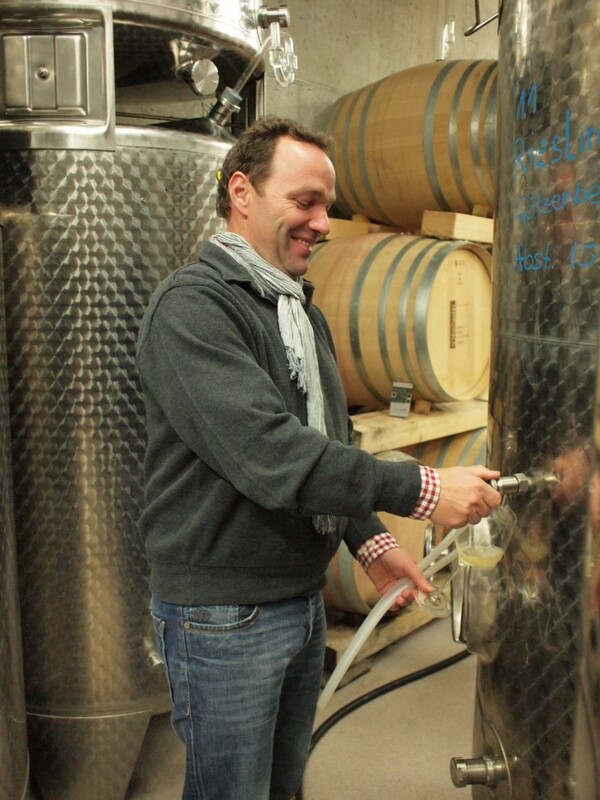 That’s what Rainer Schnaitmann has been doing since he completed his studies at the wine „uni“ at Geisenheim/Rheingau, returned home to Fellbach in 1997 and resigned from the local co-operative in order to go solo as a winemaker. It didn’t take him long to crack how to make great red wines and stunning Sauvignon Blanc pretty fast and now he has nailed Riesling. This is as racy and minerally-spicy a dry Riesling as you’ll find anywhere in the Holy Valleys: Wild Thing, you make my heart sing!